Dune Glow | Moreton Island | Queensland - This image is from one of the massive white sand dune patches on Moreton Island, in some spots these dunes reach 80 meters high. 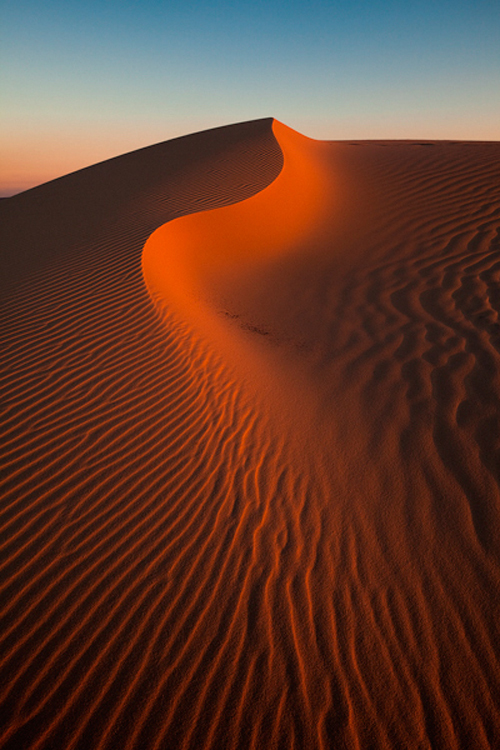 The color of the dune is from the warm light from the sun just before it dipped below the horizon. - Canvas prices include the image printed on Fine art photographic canvas supplied in a tube ready for framing, Fine art photographic prints are supplied in a tube ready for framing. All prices include freight to anywhere in the world. Fully framed artworks are available please email or contact one of our galleries for pricing.